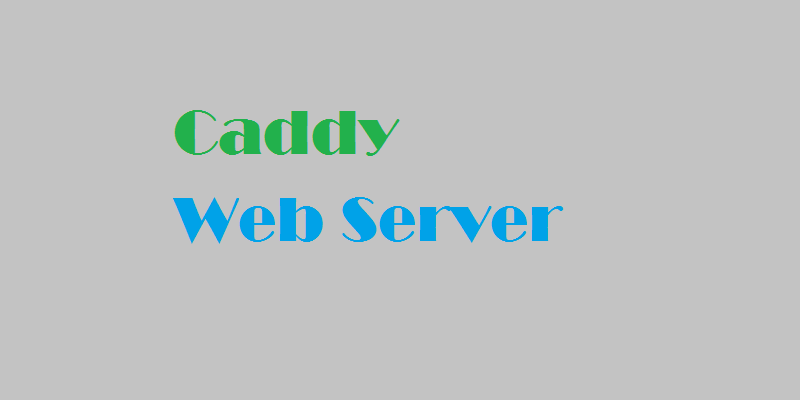 Caddy is a new web server developed with ease of use in mind. It's simple enough to be used as a quick development server and robust enough to be used in production environments. This article will guide you through the steps to install and configure Caddy. After following steps mentioned in this guide, you will have a simple working website served using HTTP/2 and a secure TLS connection. One Ubuntu 16.04 server set up, including a sudo non-root user and a firewall. A domain name configured to point to your server. This is necessary for Caddy to obtain an SSL certificate for the website; without using a proper domain name, the website will not be served securely with TLS encryption. You can view the script by visiting https://getcaddy.com in your browser or downloading the file with wget or curl before you execute it. During the installation, the script will use sudo to gain administrative privileges in order to put Caddy files in system-wide directories, so it might prompt you for a password. After the script finishes, the Caddy binaries are installed on the server and ready to use. You can verify that Caddy binaries have been put in place by using which to check their location. The command output will say that the Caddy binary can be found in /usr/local/bin/caddy. Caddy does not create any system-wide configuration during installation and does not install itself as a service, which means it won't start up automatically during boot. In the next two steps, we'll create the files Caddy needs to function and install its service file. Caddy's automatic TLS support and unit file (which we'll install in the next step) expect particular directories and files to exist with specific permissions. We'll create them all in this step. First, create a directory that will house the main Caddyfile, which is a configuration file that tells Caddy what websites should it serve and how. Change the owner of this directory to the root user and its group to www-data so Caddy can read it. In this directory, create an empty Caddyfile which we'll edit later. Create another directory in /etc/ssl. Caddy needs this to store the SSL private keys and certificates that it automatically obtains from Let's Encrypt. Then make sure no one else can read those files by removing all the access rights for others. The final directory we need to create is the one where the website itself will be published. We will use /var/www, which is customary and also the default path when using other web servers, like Apache or Nginx. This directory should be completely owned by www-data. You have now prepared the necessary environment for Caddy to run. In the next step, we will configure Caddy as a system service to ensure it starts with system boot and can be managed with systemctl. While Caddy does not install itself as a service, the project provides an official systemd unit file. This file does assume the directory structure we set up in the previous step, so make sure your configuration matches. Download the file from the official Caddy repository. The additional -o parameter to the curl command will save the file in the /etc/systemd/system/ directory and make it visible to systemd. Make systemd aware of the new service file. Then, enable Caddy to run on boot. You can verify that the service has been properly loaded and enabled to start on boot by checking its status. Specifically, it says that the service is loaded and enabled, but it is not yet running. We will not start the server just yet because the configuration is still incomplete. You have now configured Caddy as a system service which will start automatically on boot without the need to run it manually. Next, we'll allow web traffic through the firewall. Because Caddy wasn't installed using APT (Ubuntu's package manager), UFW has no way to know how to manage rules for it. We'll add those rules manually here. Caddy serves websites using HTTP and HTTPS protocols, so we need to allow access to the appropriate ports in order to make Caddy available from the internet. This will allow Caddy to serve websites to the visitors freely. In the next step, we will create a sample web page and update the Caddyfile to serve it in order to test the Caddy installation. Let's start by creating a very simple HTML page which will display a plain Hello World! message. This command will create an index.html file in the website directory we created earlier with just the one line of text, Hello World!, inside. Next, we'll fill out the Caddyfile. The Caddyfile, in its simplest form, consists of one or more server blocks which each define the configuration for a single website. A server block starts with an address definition and is followed by curly braces. Inside the curly braces, you can include configuration directives to apply to that website. An address definition is specified in the form protocol://host:port. Caddy will assume some defaults by itself if you leave some fields blank. For example, if you specify the protocol but not the port, the latter will be automatically derived (i.e. port 80 is assumed for HTTP, and port 443 is assumed for HTTPS). The rules governing the address format are described in-depth in the official Caddyfile documentation. Open the Caddyfile you created in Step 2 using nano or your favorite text editor. Then save the file and exit. Let's explain what this specific Caddyfile does. Here, we're using http:// for the address definition. This tells Caddy it should bind to port 80 and serve all requests using plain HTTP protocol (without TLS encryption), regardless of the domain name used to connect to the server. This will allow you to access the websites Caddy is hosting using your server's IP address. The root directive tells Caddy where the website files are located. In our example, it's /var/www, where we created the test page. The gzip directive tells Caddy to use Gzip compression to make the website faster. It does not need additional configuration. Once the configuration file is ready, start the Caddy service. We can now test if the website works. For this you use your server's public IP address. If you do not know your server's IP address, you can get it with curl -4 icanhazip.com. Once you have it, visit http://your_server_ip in your favorite browser to see the Hello World! website. This means your Caddy installation is working correctly. In the next step, you will enable a secure connection to your website with Caddy's automatic TLS support. One of the main features that distinguishes Caddy from other web servers is its ability to automatically request and renew TLS certificates from Let's Encrypt, a free certificate authority (CA). In addition, setting Caddy up to automatically serve websites over secure connection only requires a one line change in the Caddyfile. Caddy takes care of enabling secure HTTPS connection for all configured server blocks and obtaining necessary certificates automatically, assuming some requirements are met by the server blocks configuration. Caddy must be able to bind itself to port 443 for HTTPS, and the same port must be accessible from the internet. The protocol must not be set to HTTP, the port must not be not set to 80, and TLS must not be explicitly turned off or overridden with other settings (e.g. with the tls directive in the server block). The hostname must be valid domain name; it must not not empty or set to localhost or an IP address. This is necessary because Let's Encrypt can only issue certificates to valid domain names. Caddy must know the email address that can be used for key recovery with Let's Encrypt. If you've been following this tutorial, the first requirement is already met. However, the current server block address is configured simply as http://, defining a plain HTTP scheme with no encryption as well as no domain name. We have also not provided Caddy with an e-mail address which Let's Encrypt requires when requesting for a certificate. If the address is not supplied in the configuration, Caddy asks for it during startup. However, because Caddy is installed as a system service, it cannot ask questions during startup and in the result it will not start properly at all. To fix this, open the Caddyfile for editing again. First, replace the address definition of http:// with your domain. This removes the insecure connection forced by HTTP and provides a domain name for the TLS certificate. Second, provide Caddy with an email address using the tls directive inside the server block. Save the file and exit the editor. To apply the changes, restart Caddy. Now direct your browser to https://example.com to verify if the changes were applied correctly. If so, you should once again see the Hello World! page. This time you can check that the website is served with HTTPS by looking at the URL or for a lock symbol in the URL bar. You have now configured Caddy to properly serve your website over a secure TLS connection. It will automatically obtain and renew certificates from Let's Encrypt, serve your site over a secure connection using the newer HTTP/2 protocol, and reduce loading time by using gzip compression.